The Regals Mopar Car Club Inc is a Sydney based club for Mopar fans with a passion for all pre-1981 Australian and American Chryslers, Valiants, Dodges and Plymouths. The club is designed to gather people to share the passion, promote camaraderie, help out newcomers, go on cruises, picnic days, charity fund raising events and car shows. To find out more about the club, click here. Here's a small selection of the photos currently in our image gallery. 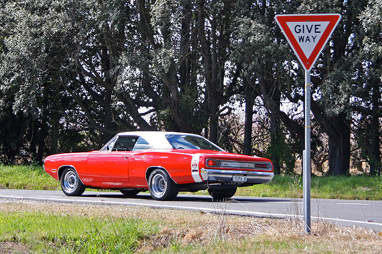 The Regals Mopar Car Club Inc is open to all owners of pre-1981 Chrysler, Valiant, Dodge and Plymouth related vehicles. To find out more, click here. The Regals Mopar Car Club has a new day of the week for its monthly general meetings. From February 2018, meetings will be held on the first Wednesday of every month at The Croatian Club Braca Radic, 79 South St, Schofields NSW 2762.